By utilizing skills of our dexterous workforce, we are manufacturing a comprehensive assortment of Rubber Seal Compound. For filling the cracks on roofs & tanks. Fills minor and major cracks. Can be used on metal tanks etc. - Interior & Exterior concrete, curing fresh concrete, Sealing old concrete, shrinkage cracks. With our rich industry experience, we are engaged in offering our clients a quality Nitrile Butyl Sealing Material. These are appreciated by our clients in the worldwide market for their features quality and durability. These are offered at the market leading prices. Imported from USA , it’s a water based Cement used in High watt density cartridge heater as well as in MI Thermocouple for sealing and hardening. Solvent-free sealing compound, ready for use and for being applied by brush, filler and roller. It is based on styrene-butadiene. 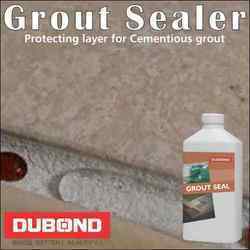 After setting Sealing Compound is impermeable to water and silicone compatible. 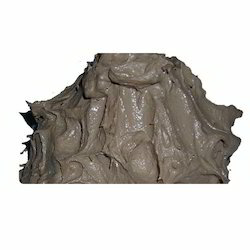 During application the product is odourless and dries rapidly. A wide array of Epoxy Sealing Compound is offered by us in bulk and one can avail these products at pocket suitable rates. Epoxy Sealing Compound is highly demanded amongst our customers due to their various uses in suitable applications. Coal tar based ploymerised joint sealing compound to be applied in hot stage most suitable for heat and blast resistant. Resistant to petroleum products and oils. Use: suitable for air runways, railway platforms, flooring for large industrial sheds and road construction. packing : 25 kg. M. S. Drum. We offer high quality range of Bitumen Sealing Compound. This range is used for sealing of expansion joint fillers, thus ensuring that joints are free from dust as well as remain completely water tight. Our range are highly demanded for excellent performance and can be availed at market leading prices.